Kohls is one of the more popular department stores when it comes to Black Friday deals. Offering great deals on clothing and other categories including home goods, bedding, toys, jewelry, and more you can be assured that the Kohls Black Friday 2016 sale will be big! Make sure to keep an eye out for opportunities to earn Kohls Cash on select Black Friday deals for even more savings! 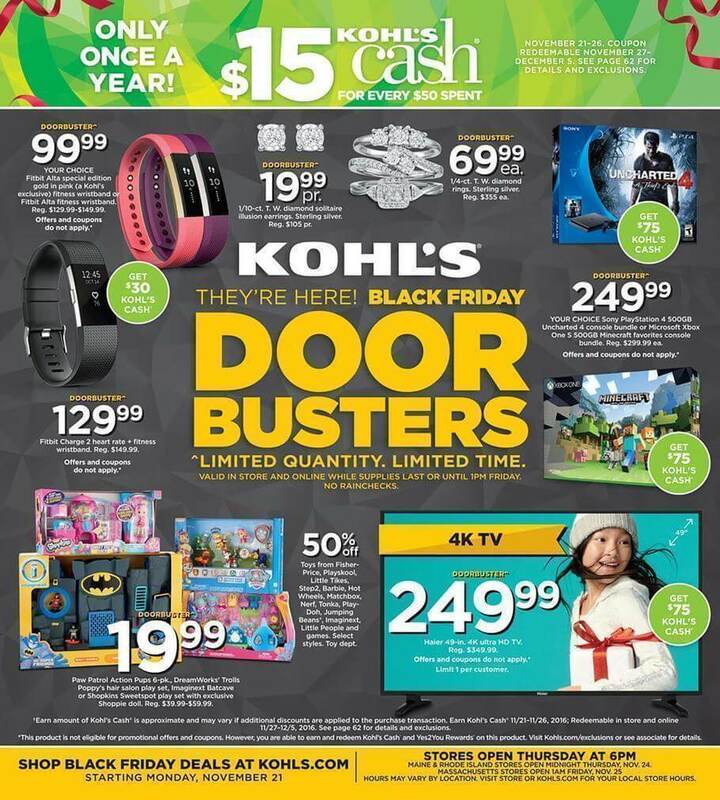 Kohls Black Friday 2016 Deals have not yet been released. Once released you will be able to find the their best deals here.